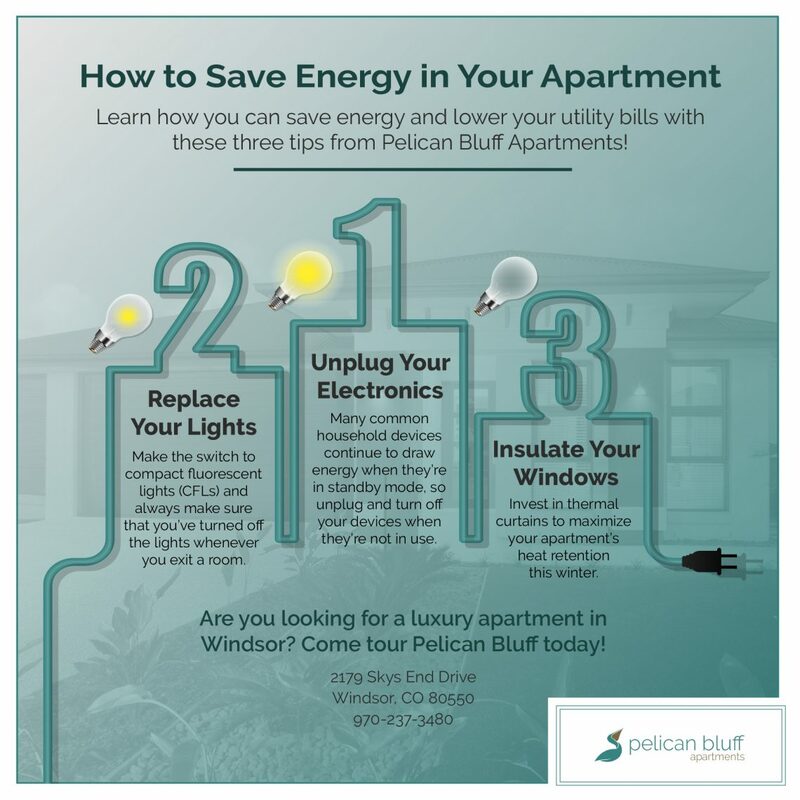 With more and more people becoming environmentally conscious, you might be wondering how you can save energy in your apartment. 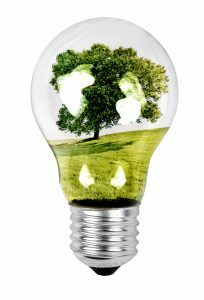 In today’s post, we’ll provide you with a few tips that will help you save energy, protect the environment, and reduce your monthly utility bills. If you’re looking for luxury apartments in Windsor, then come take a tour of Pelican Bluff Apartments! We have one- and two-bedroom apartments for rent, and we would love for you to become the newest member of our community. 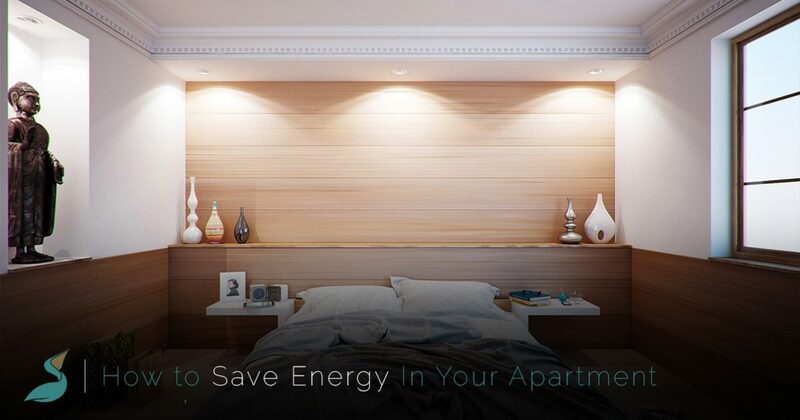 Focusing on the lights in your apartment is one of the easiest ways to begin saving energy. Try to get into the habit of turning off lights whenever you leave a room, and be sure that you’ve turned off any unnecessary lights whenever you leave the apartment. It’s easy to forget about your bedroom or kitchen lights when you’re rushing out the door, but the savings from taking an extra few seconds to turn off the lights can add up over time. On a more fundamental level, you should make sure that you’re using efficient lighting in all of your fixtures. Compact fluorescent lights (CFLs), for instance, use up to 75 percent less energy than standard light bulbs. Moreover, they last up to 10 times longer than incandescent lights, which means that you’ll benefit from lower energy bills and fewer burned out bulbs. Did you know that electronics use electricity even when they’re not actively being used? It’s been estimated that standard consumer electronics account for least 15 percent of every household’s energy use, and this is because many devices continue to draw energy even after they’ve been turned off. Try to get into the habit of unplugging your devices when you’ve finished using them, and going forward, look for energy-efficient devices that are designed to minimize the amount of energy used during standby periods. While you can’t have an insulation contractor come to your apartment to add an extra layer of insulation to your apartment, you can insulate your apartment in other ways. (And, just FYI, our apartments in Windsor are thoroughly insulated!) With winter just around the corner, you might be looking for even more ways to retain heat in your apartment, and thermal window shades can help you do just that. You can leave your windows open during the day to let the natural light in, but as soon as the sun moves overhead or begins to set, you should close up your windows to prevent the cold air from cooling down your home. If you want your heating bills to be even lower this winter, then invest in cozy slippers and a few warm blankets and try to turn the temperature down a degree or two. While you may not see a substantial difference in your heating bill immediately, you could save a substantial amount by the time the weather begins to warm up. Keep an eye on our blog to view future posts in which we’ll continue to provide you with information about our Windsor apartments and advice on how to maximize your monthly budget. If you would like to tour our luxury apartments in Windsor, then click on the button below to get started!